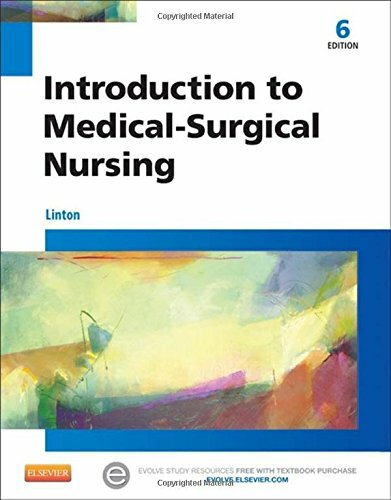 The leading medical-surgical text for LPN/LVN students, Linton’s Introduction to Medical-Surgical Nursing, 6th Edition offers just the right level of information to equip today’s students to effectively care for adults and older adults. Covering both medical-surgical and psychiatric mental health conditions and disorders, this comprehensive text addresses the LPN/LVN’s role in a variety of care settings, including acute care and long-term care, with a special emphasis on assignment and supervision responsibilities. It also emphasizes culturally competent care and holistic nursing, while thoroughly covering all relevant NCLEX-PN test plan content No other resource offers the breadth of topics at a level that is so perfectly tailored to the LPN/LVN student. Foundational units on basic concepts related to the health care system, care settings, the nursing process, leadership, nutrition, the older adult, growth and nutrition, legal/ethical considerations, evidence-based nursing care, and many more essential topics, avoid repetition later in the text and create a foundation to build your understanding of disorders by body system. Safety alerts are highlighted throughout the text with a Safety Considerations icon. A separate unit on psychiatric mental health nursing covers psychosocial responses to illness, psychiatric disorders, and substance abuse ― eliminating the need for a separate psychiatric mental health nursing text. Content related to the NCLEX-PN test plan is emphasized throughout the text, including health promotion, nutrition, legal/ethical issues, HIPAA, and prevention of medication/medical errors. Separate chapters on common, high-profile disorders (including hypertension, diabetes, and shock), provide an in-depth understanding for patient care. Focus on assignment and supervision helps you assign tasks to nurse assistants, patient care techs, and unlicensed assistive personnel, and makes sure they understand the difference between delegation, management, supervision, and assignment of tasks on the health care team. UNIQUE! In-depth pharmacology coverage includes: the Pharmacology Tutorial covering drug classifications, how drugs work, and nursing responsibilities; Pharmacology Capsules boxes providing medication information, precautions for use, interactions, and side/adverse effects; and Pharmacology and Medications tables including classification, use/action, side/adverse effects, and nursing interventions. A separate unit on gerontologic nursing provides comprehensive coverage of the care of the older adult and related disorders. No other LPN/LVN med-surg text offers as much coverage of this primary patient group. Diagnostic Tests and Procedures tables offer quick reference to MRI, CT, Doppler flow, lumbar puncture tests for neurologic disorders, and much more. Health Promotion Considerations boxes highlight timely wellness and disease prevention topics. Patient Teaching Plans provide bulleted lists of nursing instructions for patients, stressing the role and responsibility of the LPN/LVN to reinforce patient education. Nutrition Considerations boxes are spotlighted at appropriate points throughout the text to emphasize the role that nutrition plays in disease and nursing care. Nursing care plans reinforce the nursing process and focus on critical thinking. Cultural Considerations boxes discuss the importance of providing culturally-competent care related to various clinical situations. Put on Your Thinking Cap boxes allow you to pause and consider the practical implications of what you have just read. Get Ready for the NCLEX-PN Examination! sections at the end of chapters include key points, review questions, and case studies that address the various NCLEX Client Needs categories. NEW! Continued emphasis on evidence-based practice and the most current research findings include specific examples of how scientific evidence can justify and support patient care. NEW! Updated nursing diagnoses all reflect the most current NANDA listings for NCLEX compliance.